If you’re looking for a catch all voice assistant that can do the basics well and has extra features you can add on when you need them, it’s difficult to not love Alexa. It’s set to only improve too, and the smart home integration is a big bonus if you’re planning to kit out your home with lots of top-end tech from lots of other brands. This is one of the most efficient ways to control the gadgets you’re setting up around your home. Buy the right tech and Alexa can work as your doorbell, control your smart robot vacuum cleaner and turn the lights to a completely different colour. The search functionality isn’t as good as on Google Assistant, but the Alexa Skills make up for that allowing you to install thousands of different games, apps and more to enhance what your Alexa speaker can do in your day-to-day life. Amazon Alexa wasn’t the first voice assistant to make it to market – Siri is quite a bit older – but it was the first attempt that took the smart home seriously by being installed across the wildly popular selection of Amazon products that you can buy today. Tech Radar's James Peckham takes a look at Amazon Alexa. Amazon Alexa is one of the easiest to use voice assistants on the market. It’s also one of the most accomplished as it got out of the gates earlier than a lot of the competition and Amazon’s collective brain has been tinkering away on extra features and improvements since its launch in 2014. Alexa is built into the whole Amazon Echo range of products including the Echo and Echo Dot speakers alongside the newer Echo Plus, Echo Spot and Echo Show. That’s not all though – there’s a huge range of third-party gadgets of speakers, sound bars and more that also tote the voice assistant. For example, some of the top-end speakers in the Sonos range come with Amazon Alexa built-in, as well as speakers across the JBL, Ultimate Ears, Libratone and others. Creating your own smart home means you’ll have the choose the best smart speaker for you to be able to control it, and to decide on a smart speaker you’ll need to know which voice assistant out of Google Assistant, Siri and Amazon Alexa is built for you. You won’t necessarily buy a product because of Amazon Alexa, but it’s one of the most important decisions to make when you’re looking to buy a smart speaker and therefore you’ll want to decide beforehand what ecosystem you’re going to be diving into for your home upgrades. Amazon Alexa has always been built around smart speakers, and the fact it has been out in people’s homes for almost four years now means it’s one of the most fully fledged voice assistants you can invest in. The default features Amazon Alexa can handle are quite impressive, and then you can add in further features through the Amazon Alexa app on your phone. These are called Skills. 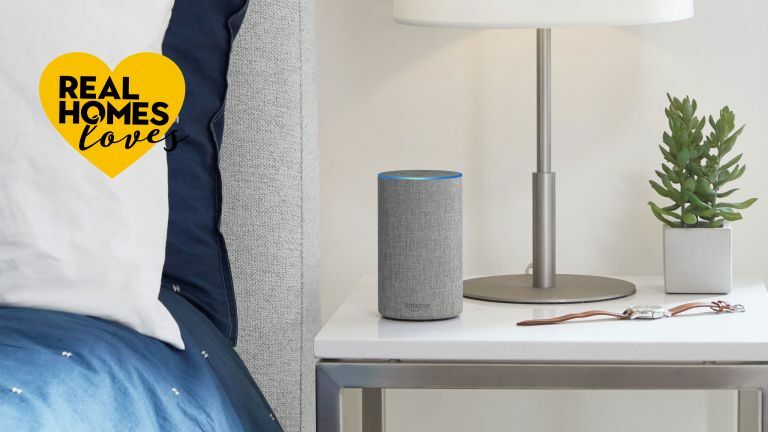 Amazon’s default speakers that will work after some setup include smart home control, timers, calendars, alarms, news, info, to-do lists, shopping lists, weather, Amazon Music Unlimited and TuneIn. That last one is for you to play radio stations through, which we’ve found works really well with UK channels. Alexa has great functionality built-in for music and other audio. If you want to listen to audiobooks, you can use Amazon’s Audible service with ease, or there’s Amazon Music Unlimited as well as support for Spotify built in as well. Ask Alexa to play a track and it will immediately be able to find the music you want directly from your preferred streaming service. If you also ask for it to play from Spotify, or another service, specifically it’ll be able to do that. Timers work accurately, alarms are easy to set and it’s easy to ask about the weather too. Essentially the default features for Amazon’s Alexa work exactly how you’d like them. Through Alexa Skills you’ll be able to do much more too. In early 2018 there were 30,000 different skills on the market from both Amazon and third-party developers, which gives access to a huge amount of extra features. A few examples of Alexa Skills are the ability to listen to Ted Talks, Amazon Storytime where it’ll read a story to your kids, BBC News to get the latest headlines and even ALOP Pilates that reads out 20 to 30 minute long audio-based exercise classes. There are thousands more Skills that you can download easily from the app and the likelihood if you’ll be able to find yourself a variety of skills you want to install on your smart speaker immediately. You can ask for answers for questions that come directly from the internet too. For example, ask how old Sean Connery is and Alexa will give you his age and his birthday. More and more of these search options are getting better with stronger contextual information, but for the time being Google Assistant is a touch better answering more questions with more depth. If you’ll regularly be asking for information like this, you may want to look at Google Assistant as your voice helper of choice. The thing with all voice assistants is they will continue to improve with time. Alexa will be better a few hours after this review is first published as Amazon is continuously working on it, and the same thing goes for Google Assistant and Siri on smart speakers. You’ll find that Amazon Alexa works with a lot of the top-end services you will use to make your dream smart home a reality. It works with both iOS and Android phones, and we’ve found the app easy to control. You can connect in your smart home devices here and mess with the settings that you need to change up as well. Alexa will also be able to control most smart home products you may want to buy. Most top-end devices will be compatible with Amazon Alexa, and there are only a few exceptions that you won’t be able to connect up with this assistant. The voice assistant works with products from Philips Hue, Hive, Ring, TP-Link, Nest, August Smart Home, Logitech Harmony and many more. When you’re buying smart home equipment, you’ll spot a logo with a blue icon that says 'works with Alexa' next to it. That’s how you’ll know it’s compatible with your speaker.